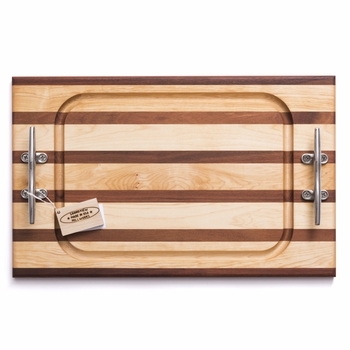 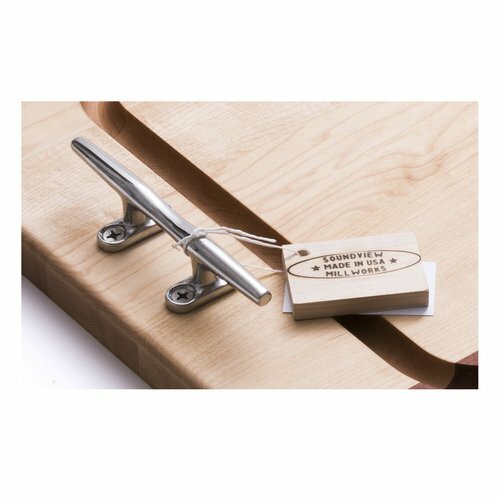 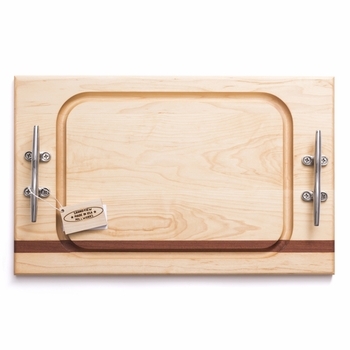 We absolutely love our best selling Nautical Cleat Steak Handle Board, a must-have for every home. 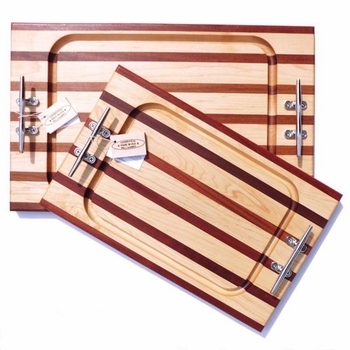 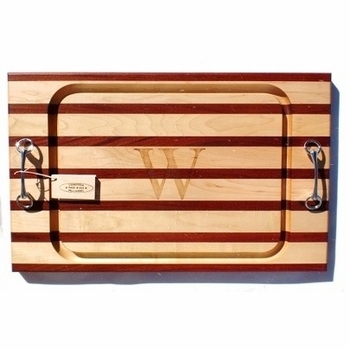 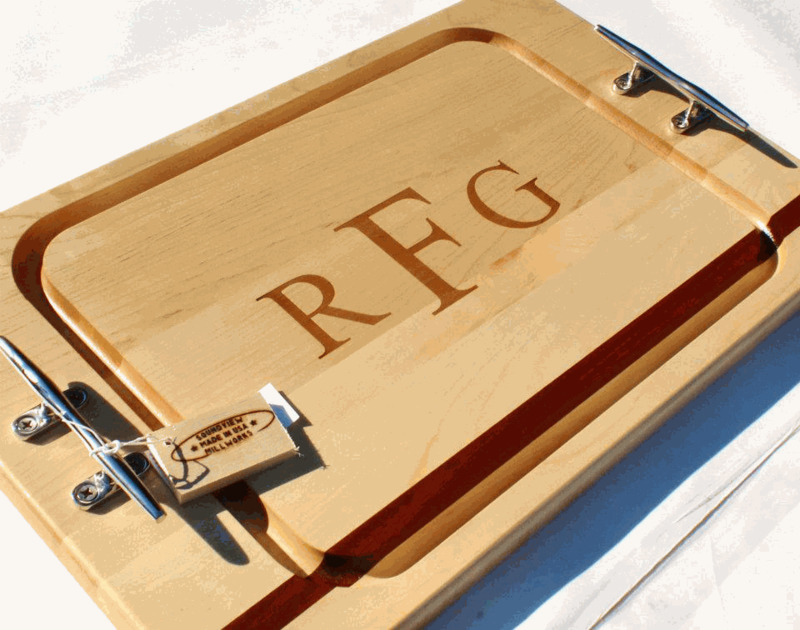 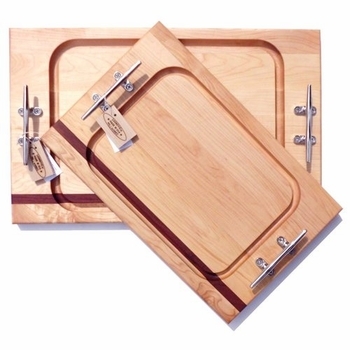 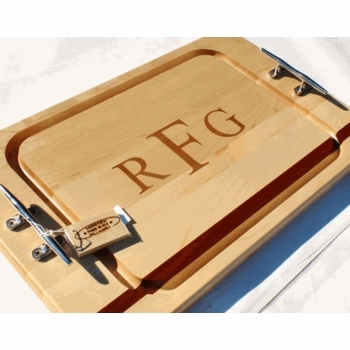 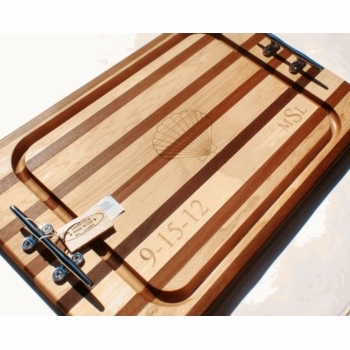 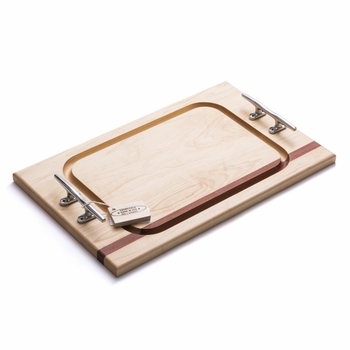 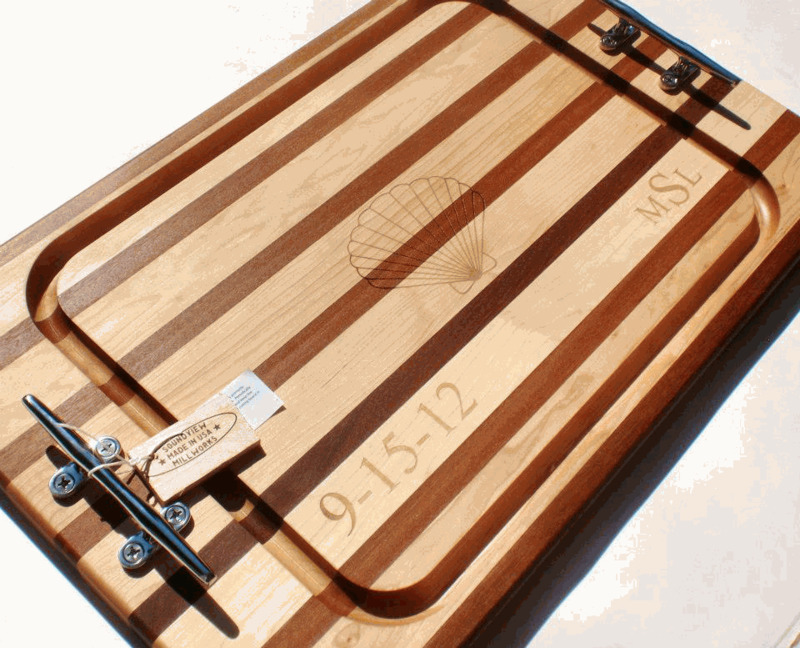 This hand designed steak board features two stainless steel nautical cleats, an ample 3/4" juice groove, and signature maple and mahogany design. 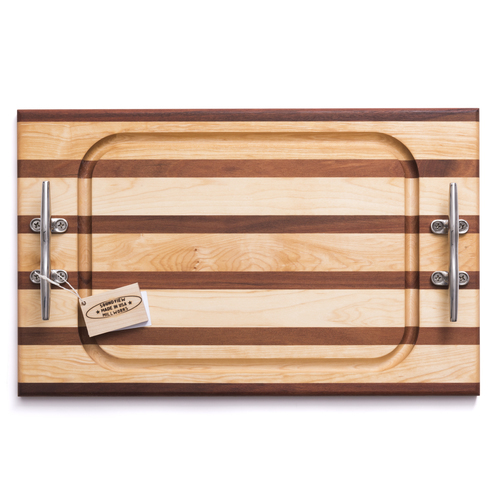 Each board is perfect for impressing guests at the holidays or casual grilling during the summer months. 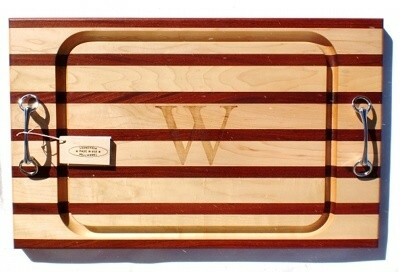 Available in Large Size L: 24" x 15" x 1.03"
Also available in Medium Size M: 20" x 12.5" x 1.03"